As a writer and blogger on the topic of scholarships, I teach student how to find and win scholarships so they can avoid student debt entirely. However, that’s not always possible and many students find themselves struggling to make payments, moving back to their parents’ home, and taking any job just to write that monthly student loan check. 1. The ability to make pre-tax payments towards student loans through payroll deductions, similar to a Health Savings Account (HSA). 2. Accounts employers can match employee contributions into, similar to a 401K, whose sole purpose is to make payments toward student loans at the end of the year. Tax benefits to employers that participate. 4. Federal and State taxes charged to Americans for income-earning accounts such as savings, money market, or capital gains on investments should be credited back if the taxpayer can demonstrate they have made payments of an equal or greater value on student debt. 5. Tax credits on all money paid toward student loan debt—not just interest. 6. 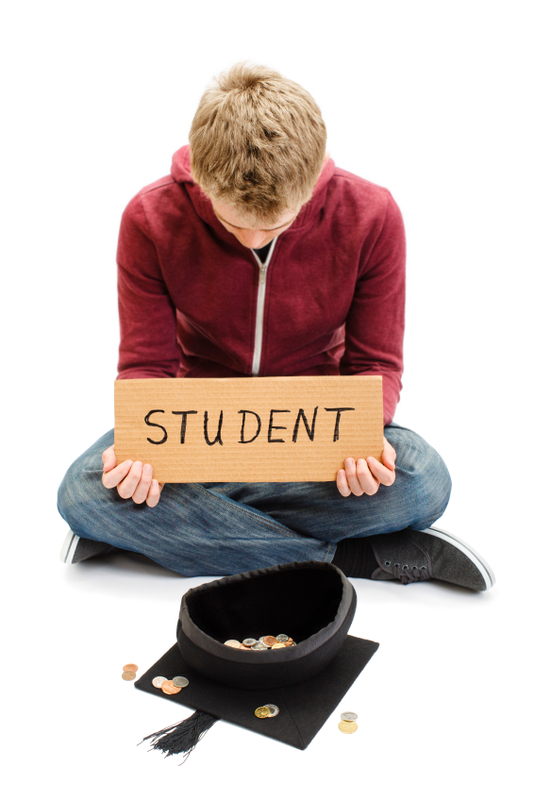 Financial incentives such as interest rate or principal reduction for Americans making fair payments on student debt during period of deferment or forbearance. Would any of these 6 policy changes help you? Can you add other measures that would help? Of course, we hope the resources we share on our blog, and in our books and classes will help you to avoid the student loan debt so many current college graduates are burdened with. Our goal is to help you get a college degree by helping you find and win scholarships. We want to see you be able to make career and life choices based on what you want, not on what pays the monthly student loan bill.